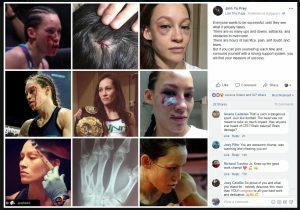 Jinh Yu Frey (7-3) talks about what it takes to be successful with her latest win over Minna Grusander (6-2) for the Invicta FC Atomweight Title. “Everyone wants to be successful, until they see what it actually takes. There are so many ups and downs, setbacks, and obstacles to overcome. There are hours of sacrifice, pain, self doubt, and tears. Fight Fans, do you feel the judges were off in their decision? Should Grusander have rematch? Let us know in the comments section below.